I’m blessed to be part of a new, weekly Christian business show to air on The Bridge, starting tomorrow, July 17th at 11AM EST. 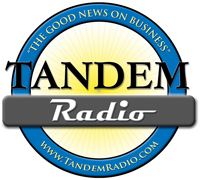 The show will be streamed lived at Tandem Radio and can be heard through The Bridge website. Please note this is “not” a market and investing oriented show although I will be spending a few minutes each show on topics that may be related.